ISLAMABAD: Media sources on Wednesday night obtained the closed-circuit television (CCTV) footage of some officials of the Customs Department allegedly demanding bribes from passengers at the capital city’s new airport. 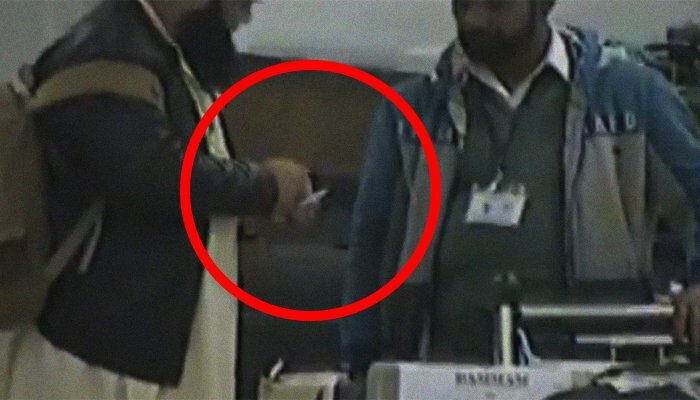 As seen in the video clip, Customs officials can be seen making an off-the-record “settlement” instead of receiving the duty tax at the Islamabad International Airport (IIAP). Sources, on the other hand, said the Aviation Division has written a letter to the Federal Board of Revenue (FBR), informing them of the matter, and has shared the CCTV footage as well.